17th Annual "An Affair of the Hat"
Dozens of exquisite hats for women & men, at all price points, will be unveiled from designers around the world for the Iroquois Steeplechase, Kentucky Derby or any occasion! This iconic event will have an international flair with chapeaux from Paris, Melbourne, Los Angeles, New York & Palm Beach! Our featured milliner is renowned Palm Beach hat designer, Carol Carr. Join our Honorary Co-Chairs, Whitney Daane (DAANEgerous Entertainment), Danielle Breezy (News 2 Chief Meteorologist) and Joe Breezy (106.7 Brand Manager/On-Air Afternoon Host) for what is sure to be our most exciting and fun event ever! Please feel free to bring your dress, if you already have it, or we can style your hat with a dress from the boutique. Enjoy wine and champagne while you shop with a percentage of every hat sold, until the Steeplechase and Derby, benefiting The TJ Martell Foundation! Join us for a very special KREWE Eyewear Trunk Show with representative, Katie Kreuz, on Friday, March 8th and Saturday, March 9th. KREWE is a New Orleans-based and culturally inspired independent eyewear company celebrating individual style with modern, iconic frames coveted by celebrities and the most fashionable women and men! KREWE representative, Katie Kreuz, will help you select the perfect pair to compliment your face shape and personality. We are celebrating Mardi Gras and KREWE’s New Orleans hometown with King Cake from Puffy Muffin, wine & champagne while you shop their newest styles and signature classics! We are celebrating Mardi Gras week and Krewe’s New Orleans hometown with King Cake from Puffy Muffin, wine & champagne! 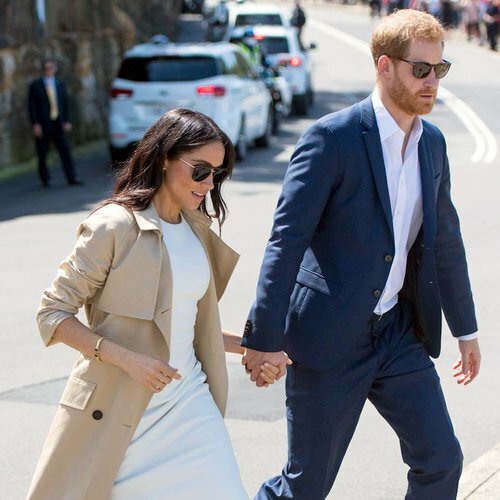 KREWE sunglasses are a favorite of Meghan Markle, the Duchess of Sussex! Celebrate the holiday in style at our two day event featuring Trunk Shows with Catherine Page Jewelry, Abi Ferrin and Krewe Eyewear. Chanel & NARS makeup artists will be presented by Nordstrom for complimentary makeup applications for our guests. Enter our drawings for jewelry, products & a $100 Gift Certificate, and enjoy wine, champagne and sweets while you shop! Join us for a very special one day Krewe Trunk Show with representative, Keelan Marlowe, on Thursday, December 6th! 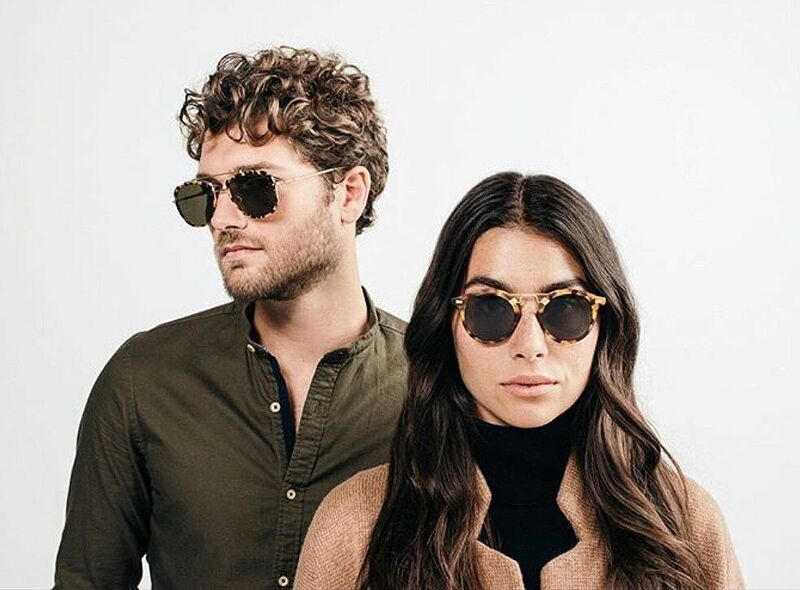 Krewe is a New Orleans-based and culturally inspired independent eyewear company celebrating individual style with modern, iconic frames coveted by celebrities and the most fashionable women and men! Krewe sunglasses are a favorite of Meghan Markle seen here with Prince Harry. We will be taking appointments both days for complimentary full-face makeup or touch ups. Walk-ins are welcome, too! Chanel artists will be in-store Thursday, December 6th, 10-6, and NARS artists will be in-store Friday, December 7th, 10-6. Makeup and products will be available for immediate purchase or by order from Nordstrom. Krewe Sunglasses (with representative, Keelan Marlowe) One Day Only! Please join us for an exclusive two day Catherine Page Jewelry Trunk Show featuring her gorgeous handmade pieces in beautiful natural gemstones! 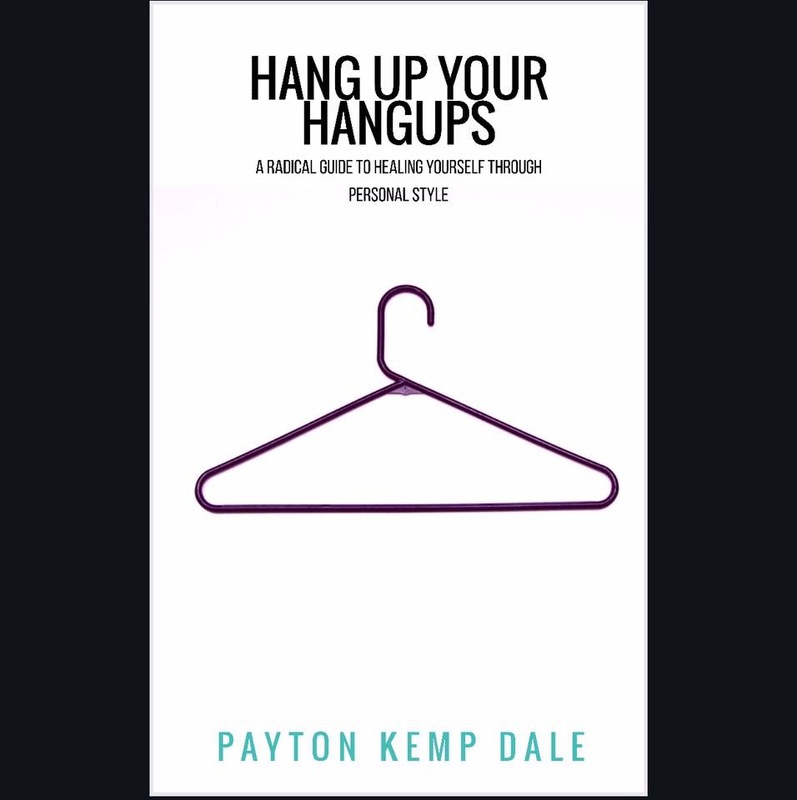 She will be debuting her brand new Fall 2018 Collection introducing several new styles. Casual chic to elegant and sophisticated, this Dallas designer has an endless selection of necklaces, earrings and bracelets at all price points! The perfect time to select a gift or a special piece for yourself! Meet Nashville designer, Tony Perrin, a Renaissance man who has been a professional dancer, actor, costume designer, teacher and now jewelry designer featured in Nashville Arts Magazine. Lock and Key brings a touch of modern eclecticism and international cool to each collection. By fusing Native American beading with classic ball-and-chain, Lock and Key connects the past with the present. Tony sculpts solid bronze and sterling silver pieces for his jewelry creating truly wearable art. Please join us for an exclusive two day Catherine Page Jewelry Trunk Show featuring her gorgeous handmade pieces in beautiful natural gemstones! Boho chic to elegant and sophisticated, this Dallas designer has an amazing selection of necklaces, earrings and bracelets at all price points! The perfect time to select a gift or a special piece for yourself! 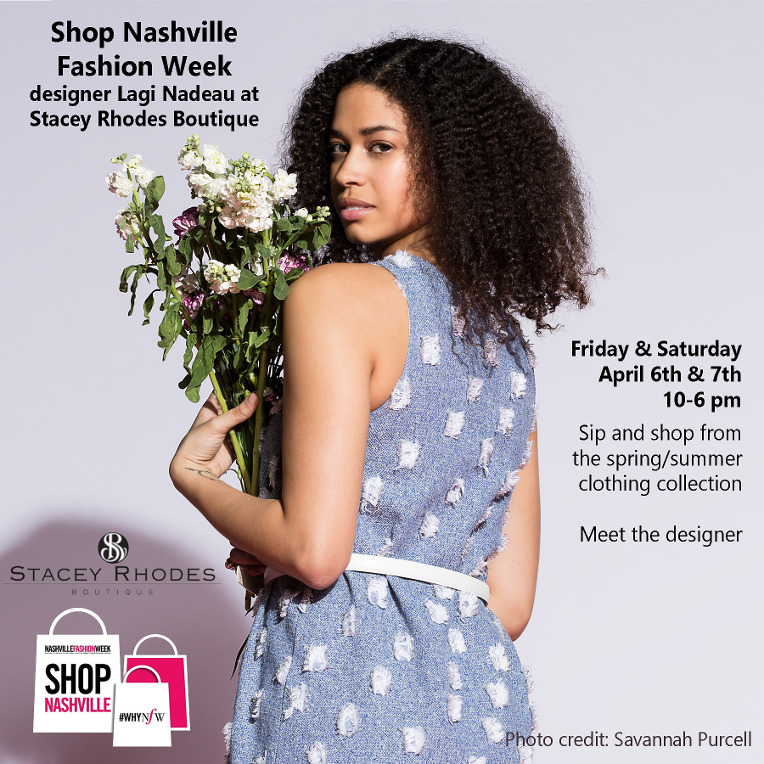 Meet Chicago fashion designer, Lagi Nadeau, a favorite on the Nashville Fashion Week runway, and see her beautiful collection of clothing & jewelry! Sip wine & champagne and shop with Lagi! A great opportunity to see the collection of beautifully handmade Virgins, Saints & Angels jewelry. Select the perfect gift or add to your own collection! Representative, Kaela Kreysa, will be in-store on Thursday, December 8th to answer any questions and help with your selection. We are thrilled to present our first Trunk Show with the London clothing line, Religion! This iconic British brand, with it's signature prints and graphics, is devoted to the pursuit of individual style. Shop our curated collection of dresses, tops, cardigans and jackets. Please join us for an exclusive Abi Ferrin Trunk show featuring the Fall & Holiday collections of this beautiful, flattering and wearable line perfect for any age! 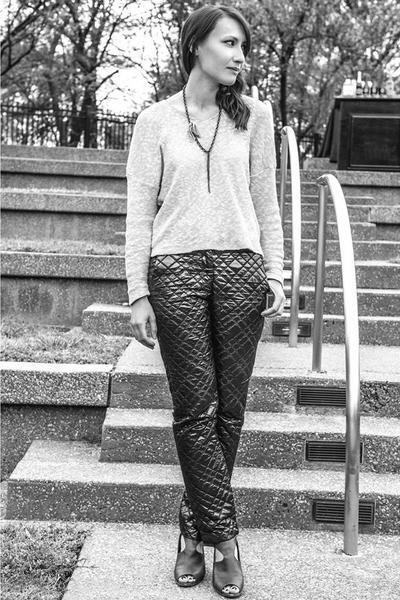 Meet representative, Liz Borash, and shop the newest styles for day to evening looks.